Family Thrift believes that it is extremely important to give back and strengthen the communities where we work and live. To accomplish this, our giving programs focus on Ohio communities in the areas where our businesses are located. The merchandise we sell (largely in part to donations made by you), helps us supply low income individuals and families within our community with low cost, quality merchandise. Our action also helps recycling efforts and provides you with a fun shopping experience. 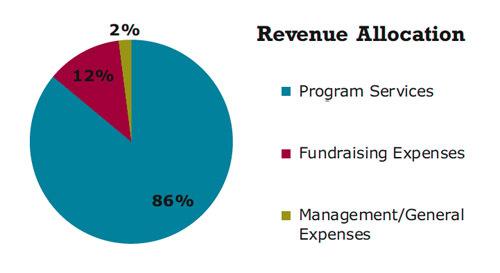 In addition, a large percentage of our revenue, is used to fund charitable giving programs. Although Family Thrift stores are a for-profit business, we actively support NCCS (The National Children's Cancer Society). We pay them, our charity partners/vendors, for your donations of gently used clothes, shoes, accessories, electronics, toys, books, furniture and other reusable household items. with NCCS, CLICK ON THE VIDEO BELOW to hear from those we've helped, and how we helped. The mission of The National Children’s Cancer Society (NCCS) is to improve the quality of life for children with cancer and their families worldwide. We serve as a financial, emotional and educational resource for those in need at every stage of illness and recovery. In the United States, we ease the financial burdens that accompany major illness, give crucial support and comfort and address the challenges of survivorship. Abroad, we provide lifesaving pharmaceutical drugs and medical supplies to facilities that treat children with cancer. Since its inception, The National Children’s Cancer Society has helped more than 35,000 children with cancer and their families by providing over $59 million in programdistributions. The NCCS is a 501C(3) non-profit organization that is proud to meet all of the Better Business Bureau’s “Standards of Charity Accountability,” which includes a comprehensive, in-depth evaluation of charity governance, fundraising practices, solicitations and informational materials. Our Family Support Program, Transportation Assistance Fund and Emergency Assistance Fund provide emotional and financial support to families throughout the United States during their child’s cancer treatment. By eliminating some of the psychological and financial hardships associated with cancer, families can stay focused on the health and wellbeing of their child. The Beyond the Cure survivorship program originated from a federal grant received in 2005. Beyond the Cure offers a web-based information center providing late effects information and proprietary assessment tool, web conferences for survivors, families and healthcare professionals, college scholarships, links to additional resources and educational materials. The Global Outreach Program was established in 1993 to coordinate worldwide distribution of donated pharmaceuticals and medical supplies to healthcare facilities in less-developed countries throughout the world. The program is dedicated to addressing the critical effects of inadequate and nonexistent medical care for thousands of children with cancer worldwide. IMPROVE THE QUALITY OF LIFE FOR A CHILD WITH CANCER. The National Children's Cancer Society helps thousands of children with cancer and their families and, they depend on the generous support of people like you. So click on the link below to help save a child's life. Or schedule A Pick-up By Phone: 614-577-1610. 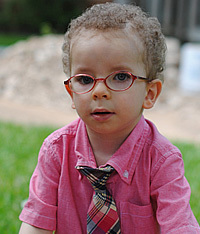 NCCS seeks to improve the quality of life for children with cancer and their families worldwide.